S.A.F.R Port Salut is a smooth, delectable cheese made in the province of Brittany on the west coast of France. A region very similar to Maine, the countryside of Brittany is bordered by the ocean, dotted with boats, teeming with fish and, like Maine, subject to coastal weather extremes. Culturally, it’s been said that Brittany is more influenced by England than its own motherland. It also happens to be great dairy territory, claiming 20% of the cattle in France, and producing 20% of its milk and 33% of its butter. Port Salut has a fascinating history. Originally named Port du Salut after the abbey of Notre Dame du Port du Salut in Entrammes, it was produced in the mid 1800's by Trappist monks, strictly for consumption at the monastery. In 1873, the Abbot visited Paris and negotiated a distribution agreement with a Parisian cheese monger. A year later sales of this disk-shaped cheese were so phenomenal the monks registered Port Salut as a trade name to guard against imitations. It has also been said the origin of Port Salut is closely linked to the French Revolution of 1789. Escaping from the persecutions of the "Terror," a congregation of Trappist Monks set themselves up abroad and learned how to make cheese for their very survival. Upon returning to France in 1815 they built a new abbey and continued to expand their cheese production. The name later became the registered trademark of the Société Anonyme des Fermiers Réunis or S.A.F.R. Produced in thick disks approximately nine inches in diameter and weighing about five pounds, Port Salut keeps well for several weeks or longer, if securely wrapped. The rind of the cheese is slightly moist and colored, with traces of the cloth used in its production. Affinage (refining) takes one month. The cheese is polished with brine which adds to its rich flavor. The result is an exquisite cheese with an orange rind and a pale-yellow interior. Port Salut is a semi-soft natural cheese that is most recognized by its orange rind. 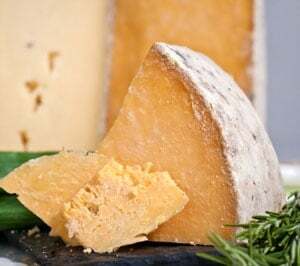 Don’t be put off by the smell—which can be strong because it’s a washed rind cheese. It will still have a relatively mild flavor—savory and slightly sweet. The smell will increase the longer the cheese is kept but, again, the smell doesn’t affect its flavor. Like most cheeses, Port Salut is best consumed within two weeks of opening. Refrigerate it but allow it to come to room temperature before eating. It’s a cheese that has universal appeal with its smooth, velvety texture and light acidic taste. The pâte is elastic, cream-colored, soft, and supple with a very faint aroma. Port Salut is a perfect partner for fruit and enhances any cheese board. 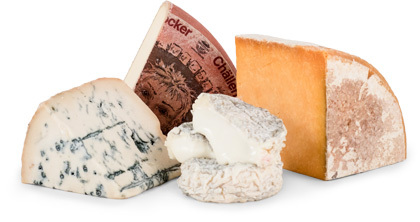 The cheese pairs beautifully with Chinon and Bourgueil wines. The right wine with a superior cheese can be an excellent combination! MonthlyClubs.com offers fine domestic and international wines. Check out The International Wine of the Month Club at www.winemonthclub.com. Bon appetit!